Geopolitics is about trends. Individual events add up to patterns; patterns melt into inertia; inertia gains social gravity; inevitably, maps are redrawn, regimes fall, and through the litany of news reports we wonder how it all came about. So while it is beyond cliche to do a yearly review, for geopolitics, it’s also extremely useful. What were the trends in 2015, and where might they go in 2016 and beyond? Let’s get super. Overall, it was a mostly positive year for the United States, but internal forces threaten to force America to make some very dumb decisions in the coming years. Russia’s geopolitical sheen started to come off; the appearance of victory began to give way to the reality of Russia’s fundamental weaknesses. China’s challenges also went public this year: a stock market meltdown and the apparent failure of its island-building strategy are indicative of its wider inability to change the international system in its favor. Meanwhile, former great powers, like Germany, Japan, and Turkey, each began to reemerge in their own right onto the geopolitical scene, setting the tone for their steady return as major regional actors as the United States grows incapable of governing the planet. Finally, in the contentious Middle East, the Islamic State began to slowly lose the war, while Israel began its sad road to international isolation. Meanwhile, Saudi Arabia and its allies decided to take on a more active role in settling the affairs of the region, beginning what can only be described as a dumb war in Yemen. So how did 2015 go for America? Certainly better than any year since 2007. It is extremely easy – and extremely wrong – to think that the geopolitical story of 2015 was that of Donald Trump, and therefore a year of foreigners laughing at and slagging off the superpower. But fundamental situations did not change this year: no American alliances were strained, the U.S .economy grew at its strongest rate since before the Great Recession, and America’s military resources were deployed in measured, if undramatic, manners to combat what threats emerged to American power. Throw in the diplomatic coup de grace with Iran and the perspective changes. Trump is an embarrassing headliner, but even as elected president he can only do so much damage. 2014 was a considerably worse year for the United States; Russia grabbed territory and froze NATO’s expansion. China seemed poised to rewrite whole swathes of the international system. But 2015 was the year of measured pushback. Over the summer, China’s stock market meltdown resulted in barely a blip in the United States: while Wall Street crashed, it also rapidly recovered. U.S. unemployment dropped to its lowest levels since the early 2000s. Oil prices dropped and America benefited from a double whammy of cheap energy and a fracking revolution that brought American production to sky-high levels. In Europe, Eastern European allies threatened by Russia’s moves in Ukraine opened their arms to the deployment of American troops, bringing U.S. power right to the borders of the Russian Federation. The occasionally contentious Franco-American alliance was strengthened by the Islamic State attack in Paris while both Germany and Britain sent forces to fight in the U.S.-led coalition against the self-styled caliphate. American policy makers also finally began the serious conversation about reevaluating the U.S-Israeli alliance, a relationship that has, since the Cold War, cost the U.S. much more than its worth. But while it was a comparatively good year for American power, internally forces converged to threaten such gains. The American culture wars are drawing to a close: the ugliest, final phase has produced the likes of Trump and threaten to destroy the Republican Party itself. Such chaos may well paralyze the ability of the U.S. to act on anything but the most basic of interest, allowing slick rivals to take advantage of the lull. Should the Republican Party self-destruct in 2016, it could take years before a competent U.S. government emerges able to handle the role of the superpower. Conversely, while the Russians had a rather good 2014, their 2015 was far less amazing. 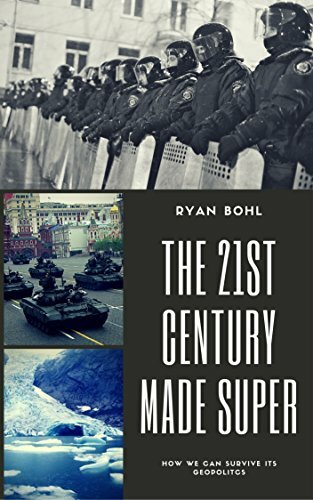 In 2014, Moscow broke the post-war order in Europe and took over Crimea, invading by proxy Ukraine proper and largely getting away with it. 2015 was the year of trying to hold onto those gains, but at a great cost. While Ukraine’s war simmered, American forces surged into Eastern Europe, culminating in the NATO invitation to Montenegro. While not strategically vital in and of itself, it proved NATO could and would continue to expand into former Warsaw Pact territory, further surrounding the only pro-Russian state left in the Balkans, Serbia. Putin’s Syrian intervention gathered many headlines but little real gain. It may well have saved the tottering Assad regime, but all that means is a return the 2014 status quo: a divided, ruined Syria, whereby Assad is merely a warlord among many. By December, while regime forces gained some ground, the fundamental stalemate of the war hadn’t changed. Worse, U.S. special forces entered Syria to begin training Kurdish allies, bringing American power to the same battlefields as Russian power. This was a low point for the Russians this year. Not only did the Turks shoot down their jet, but they got away with it too. But the biggest upset of all is that Europe remained united against Russian power. The sanctions regime held firm and Russia’s economy began to tank. While Putin can survive that for a time, on a long enough timeline, even a strongman must accept basic economics. Russia cannot have prosperity and be an independent power capable of challenging NATO. At the end of the day, that last part is potentially the fatal one: should Putin fail to find a way out of the sanctions regime, he threatens to repeat the Soviet 80s, where a ruined economy cuts through the macho propaganda Facebook commenters love so much and undoes the regime. And this will be Putin’s goal for 2016: finding a way, any way, to break the sanctions stranglehold to avoid repeating history. That may mean giving ground in Ukraine and Syria, but if Putin believes further military aggression will serve him well, he will have a rough 2016 indeed. And people finally stopped seeing China as unstoppable. This year, analysts noticed that China’s growth model was both ungainly and fueled by mad levels of public debt. Invariably, chickens would roost. That growth model also betrayed fundamental difficulties in ruling China: a vast population long divided between coast and interior, a former imperial domain held together by force rather than a social contract, and an inherent predisposition for occasional dynastic revolution. While China isn’t anywhere near a revolution, in 2015 the writing began to appear on the wall. Shanghai’s stock market crash over the summer gave way to a currency devaluation, with Beijing finally accepting that fudging its numbers could not overcome fundamental problems in the Chinese economy. Having built a shaky social contract of rapid growth, China now finds itself playing by more developed nation rules, much to its chagrin. But in an inflexible Communist dictatorship, recessions take on new meaning: rather than tossing out one president for another, the only options are riots, unrest, and revolution. China isn’t near a recession, but it cannot avoid one forever: in 2015, that became obvious. Every country has stock market crashes, but not every country can handle them. From a standpoint of hard power, China gambled on manipulating the Law of the Sea in 2015 and lost. Constructing whole islands in the much-trafficked and potentially resource-rich South China Seas, Beijing hoped to plant Chinese flags in open waves and extend Beijing’s writ. But the U.S. Navy simply sailed right through said waters, rendering the claim both moot and an expensive failure. Most significantly, the slow return of Japan’s potentially powerful military is far from ideal from a Chinese perspective. Once Japan conquered large chunks of China; should China wobble, Japanese influence could readily return to old stomping grounds. Being forced to balance both the United States and Japan is hardly an enviable position. China had a great 2000s; now it is hitting its limits. 2016 will be a year of calculation and trade off; Beijing is not nearly as ambitious as Russia and so will take fewer risks. But watching how China handles its debt load will be key to understanding the survival of the Communist regime and China’s great power status. It would not be the first time a Chinese government fumbled itself to disaster. Let’s hear it for losers of the 20th century: 2015 was a good year for them. Japan, Turkey, and Germany all went from dizzying heights of power to abysmal lows of occupation and dismemberment in the 20th century. For much of the 20th century, their power was kept in check by a paranoid United States and the alliance structures each of them belonged to. But the world has changed; the U.S. needs powerful regional allies to help it balance its hegemony, and so it has begun to encourage its former foes to assert themselves on its behalf. Japan and Turkey have taken up the task with considerable gusto. Japan, officially pacifist, has chosen to reinterpret its constitution to allow deployment of military force in defense of allies elsewhere. This was a direct challenge to both Russia and China; while before, Japan could only respond if Japan itself were attacked, it can now aid the U.S. Navy in any skirmish it may fight. The door is now slowly opening to the expansion of Japanese power. Meanwhile, Turkey used 2015 to shoot down a Russian fighter jet that seems to have strayed into its territory while deploying ground troops inside Iraq itself. While those troops have withdrawn and the Turks have shot down no further Russian planes, the two acts demonstrated the new ambitions of Ankara in the Arab world. Once, Turkey was the master of much of the region; it took advantage of Arab chaos to build an empire. Now that the Arab world is once more collapsing, Turkish influence may grow again. 2016 will doubtless see further growth of Turkish power into the failed states of Iraq and Syria. East Asia will see much more of the Rising Sun in the coming years. Germany spent much of 2015 forced to reevaluate its sense of self and its role in Europe. Determined to never repeat the horrors of Nazism, this discussion was deeply uncomfortable for many German elites, but geopolitical conditions have thrust a leadership role upon Germany. Germany was instrumental in keeping the anti-Russian sanctions regime intact; in response to the Paris attacks, Germany deployed support forces to the war against the Islamic State. Neither are in Germany’s direct interests: Berlin would much rather trade with Moscow and avoid war in the Middle East. But being the international nice guy has become a tougher and tougher proposition. With the EU’s strongest economy and potential for a mighty military, Germany felt the tug of its allies towards asserting its power to impose conditions on their behalf. 2016 will continue that trend; an assertive Germany is doubtless in the offing in the 2020s, though not a militaristic one. Finally, the Middle East grew just a little more complicated but a bit less dangerous. How does one evaluate the Middle East’s 2015? It’s hard to say: for Gulf Cooperation States headed by Saudi Arabia, it was a year of war and austerity. Saudi, Emirati, and Bahraini troops began to arrive home in bodybags from the fields of Yemen, where King Salman’s fruitless war has yet to yield much in the way of results. Self-imposed crashing oil prices gutted the Saudi treasury while other Gulf allies raided rainy day funds. Nobody is talking recession yet, but Saudi Arabia could be broke by 2020 if it keeps this up. Meanwhile, the Iraqi army slowly began to reconquer territory from the Islamic State, capturing the ruins of the country’s largest oil refinery while Kurdish forces conquered Sinjar, a town on the key supply route between Mosul and Raqqa. IS has lost up to 40% of its Iraqi domain this year to its many enemies. Within the United States, a serious discussion began at last about the country’s relationship with Israel, an ally who has grown to become more and more a liability with each passing year. With Syria collapsed, Egypt and Jordan paralyzed by fear, and the GCC unwilling to wage war, Israel’s military largesse makes less and less sense. Nobody is talking of abandoning Israel, but the next president could well stop seeing it as a sacred cow of American politics. Israel has only itself to blame: it is losing the propaganda war by refusing to engage with the peace process. Moreover, with much bigger fish to fry, the U.S. cares less than ever about an intifada in the Holy Land. Certainly, the headliner of the year was the U.S.-Iran nuclear deal, which brought relations to a 30 year high point. The sanctions regime is slowly coming undone as a reward. While oil prices hurt Tehran as well, Iran has a far more dynamic economy than GCC states, and the ending of the sanctions regime will unleash much of its potential. 2016 may well see further and further engagement with its former enemies. But 2016 will doubtless also see an increasingly paranoid Saudi Arabia making mistakes and creating enemies. Saudi Arabia rightly knows the U.S. is pulling away from it in favor of Iran: Iran is, after all, more valuable, with a bigger population and much more strategic position. King Salman will try to show Saudi Arabia is too big too lose, but he will fail. Since the U.S. increasingly doesn’t need Saudi oil, the relationship will grow moot, and what happens to the royals will matter much less in D.C. than it once did. 2016 may also be the year where diplomacy wins the day in Syria. Russia is realizing it cannot impose the peace it wants through force; to be sucked into a stalemate there is not worth the risk. Virtually every side is war-weary, and the refugee crisis only adds to the desire for a peace settlement. The sticking point will be how to conquer the Islamic State: my own suggestion is a frontline of elite U.S. troops followed by Gulf Arab forces who will hold territory as the caliphate is rolled back and wiped out. 5 years of civil war may be enough for all concerned, and the incentives for a settlement grow by the day. Conflict will be plentiful in 2016, but the fundamentals of the international system likely won’t change. The world will still be governed by capitalism; it will still have a feckless UN dominated by intentional squabbling; it will still look at the U.S. as the one force capable of settling most problems (and it will resent the U.S. for that). Terrorism won’t go away, and neither, likely, will the Islamic State, whose defeat may be a few more years away at this pace. But the era of the hyperpower is over: the U.S. needs powerful friends to support its position at the top. Such friends will not do America’s bidding forever: a new multipolar world is emerging, with the U.S. the strongest but certainly not the only one capable of imposing its will upon large swathes of the planet. It will, in other words, start to feel very much like the world before 1945. We’ll all have to get used to that. I don’t see the connection between GOP self-destruction and a resultant loss of position on the world stage. Can you explain? The GOP’s angriest voters are those who feel the U.S. is sliding out of its premier status. The more they think that, the angrier they become and the less likely they are to choose a rational or electable candidate. They’ll turn to a man like Trump to reverse that perception, but in the course of doing so choose a candidate who will never win a general election.